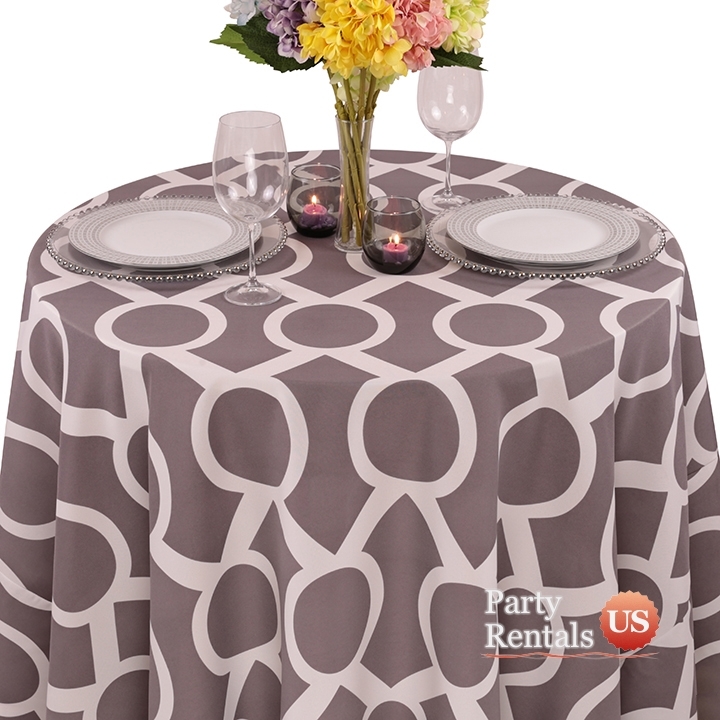 When you want to add class and contemporary flair to your event's decor, our "Geometric Prints Liberty Key Tablecloth" is an excellent choice. The item is crafted from spun polyester, so it will be soft to the touch and simple to maintain. This is a modern pattern that looks good on all table sizes as well.